Are you familiar with a wheelbarrow? This is a pretty common vehicle which you would have seen probably on some construction sites. 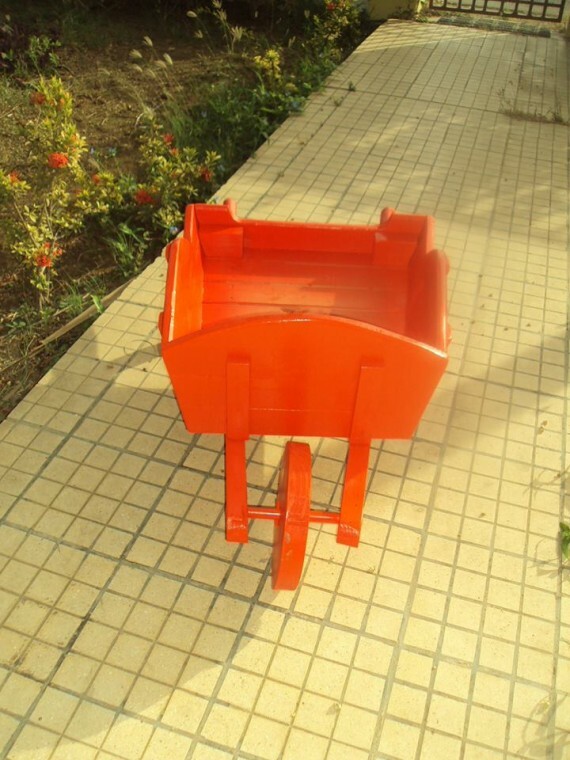 A wheelbarrow is a small hand propelled vehicle that is usually having only one wheel. This is designed in such a manner that it could be pushed easily by a single person while carrying the load on it. The wheel fixed in it shares the weight load with the operator and makes it easy for him to transfer the heavier loads easily from one place to another. 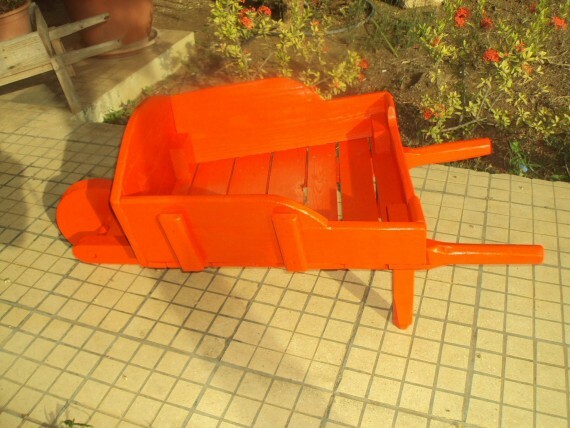 How about making a wheelbarrow by recycling pallet wood? This certainly is a great idea to make a wheelbarrow by repurposing the pallet wood. 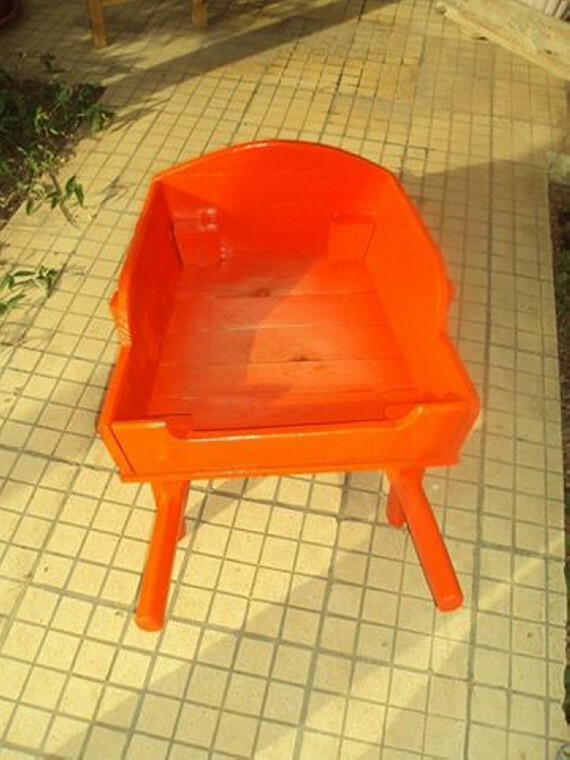 This wheelbarrow is meant to help you when you are upto some creative or construction work domestically. This is going to make it damn easy for you to transfer the heavier loads from one place to another. And the best thing is that you will not have to pay much in making it at your own. You can make it right in your domestic workshop just by grabbing a couple of some old wooden pallets which are lying pretty idle in your backyard. As you can see here in this project a classic wheelbarrow that is entirely made by upcycling the pallets and nothing else. The whole of the material used in making this handy wheelbarrow is just some old wooden pallets that are certainly easily accessible for all of us. Though it is stained in orange color to give it a lively and energetic look. This is going to make many of your domestic tasks easier when it would come to carry the heavier loads as it is designed according to the basic mechanics of science by repurposing the wooden pallet.